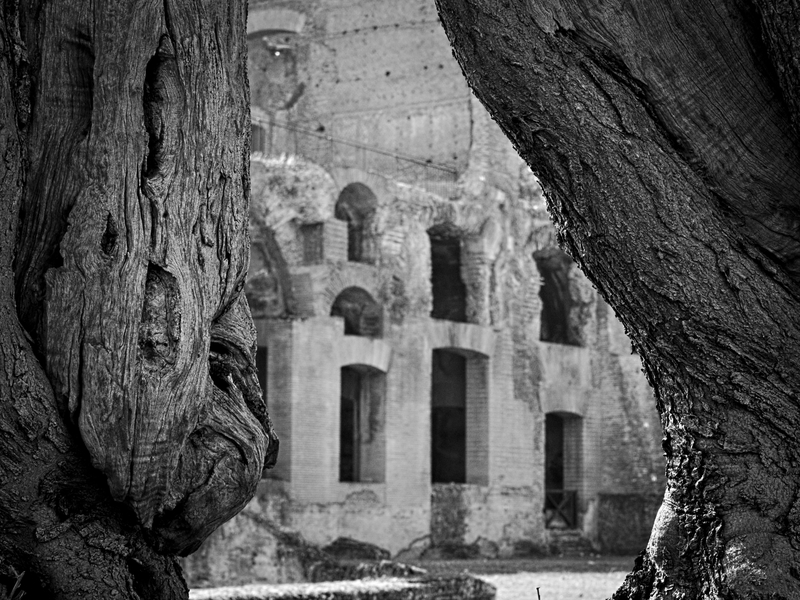 This photo was taken in the archaeological site of Villa Adriana, near Tivoli, Italy. The villa was commissioned by Roman Emperor Hadrian, in the 2nd century AD, as a retreat from the chaos of urban life in Rome. Roman elite loved spending time in the countryside, and many important political figures of the time loved cultivating trees and being surrounded by nature during their relax time. Roman builders, very well versed in the use of bricks and mortar, heavily relied on wood for scaffolding and furniture, not to mention the ingenious and extensive use of wood by Roman military engineers, in order to realize large provisional constructions for the armies. Ironically, the widespread consumption of wood by the Romans, in order to enable and support their expansion and high standards of living, was also one the factors that inevitably led to the fall of their civilization, as there is clear evidence of deforestation and its subsequent impacts on the environment - mainly soil erosion and loss of fertile lands - leading to the progressive destruction of agriculture and the insurgence of famines and plagues among the population. The fall of the Roman empire teaches us an important and existential lesson about the negative effects of natural resources overexploitation. Today, only ruins of a once powerful civilization are still visible, alongside with the trees that yet have survived and thrived long after their owners disappeared.